In preceding chapters I have mentioned the name of Rasputin, that strange and ill-starred being about whom almost nothing is known to the multitude but against whom such horrible accusations have been made that he is universally classed with such monsters of iniquity as Cain, Nero, and Judas Iscariot. 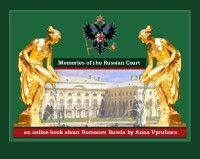 Even H. G. Wells, in whose "Outline of History" Joan of Arc and Abraham Lincoln are disposed of in a line, sacrifices valuable space to state as an established fact that in 1917 the Russian Court was "dominated by a religious impostor, Rasputin, whose cult was one of unspeakable foulness, a reeking scandal in the face of the world." I have no desire in this book to attempt an exoneration of Rasputin, for I am not so ambitious as to believe that I can change the collective mind of the world on any point. In the interests of historical truth, however, I believe it to be my simple duty to record the plain tale of how and why Rasputin came to be a factor in the lives of Nicholas II and of Alexandra Feodorovna, his wife, and exactly to what extent he did, or rather, did not, dominate the Russian Court. Those who expect from me secret and sensational disclosures will, I fear, be disappointed, for Rasputin's every movement for years was known to the Russian police, and the most sensational fact of his whole career, his assassination, has been described by practically every writer of the events of the Russian Revolution. I will first explain the exact status of the man, for this does not appear to be generally understood. He has been called a priest, more often still a monk, but the truth is he was not in holy orders at all. He belonged to a curious species of roving religious peasant which in Russia were called Stranniki, the nearest English translation of the word being pilgrims. These wandering peasants, common sights in the old Russia, were accustomed to travel from one end of the Empire to the other, often walking with heavy chains on their bodies to make their progress more painful and difficult. They went from church to church, shrine to shrine, monastery to monastery, praying, fasting, mortifying the flesh, and their prayers were, by a very con. siderable population, eagerly sought and devoutly believed in. Once in a while a Strannik appeared who, by virtue of his extreme piety, gift of speech, or strong personality, acquired more than local reputation. Churchmen of high rank, estate owners, and even members of the nobility invited these men to their houses, listened with interest to their discourses, and asked for their prayers. Such a Strannik was Gregori Rasputin, who from the humblest beginnings in a remote Siberian village became known all over the Empire as a man of almost superhuman endowment. Of the type of Russians to whom the Stranniki made a genuine appeal the Emperor and Empress undoubtedly belonged. The Emperor, like several of his near ancestors, was a born mystic, and the soul of Alexandra Feodorovna, either from natural inclination she so dearly. loved, leaned also towards mysticism. By this I do not mean that the Emperor and the Empress were at all interested in spiritualism, table-tipping, or alleged materializations from the world beyond. Far from it. In the earliest days of my acquaintance with the Empress, as far back as 1905, she gave me a special warning against these things, telling me that if I wished for her friendship never to have anything to do with so called spiritism. Both the Emperor and the Empress were profoundly interested in the religious life and expressions of the whole human race. They read with sympathy and understanding the religious literature not only of Christendom but of India, Persia, and the countries of the Far East. I remember in connection with the Empress's first warning against spiritism that she gave me a book, an obscure fourteenth-century missal called "Les Amis des Dieu" which, in spite of her warm recommendation, I found great difficulty in reading. This interest in religion and the life of the spirit was actually what constituted what Mr. Wells calls the "crazy pietism" of Nicholas II. It was simple Christianity lived and not merely subscribed to as a theory. They believed that prophecy, in the Biblical sense of the word, still existed in certain highly gifted and spiritually minded persons. They believed that it was possible outside the church and without the aid of regularly ordained bishops and priests to hold communion with God and with His Spirit. Before I came to Court there was a Frenchman, Dr. Philippe, in whom they reposed the greatest confidence, believing him to be one in whom the gift of prophecy existed. I or from close association with him whom never knew Dr. Philippe, hence I can speak of him only as a sort of a forerunner of Rasputin, because, as the Empress told me, his coming was foretold by Dr. Philippe. Very shortly before his death the French mystic told them that they would have another friend authorized to speak to them from God, and when Rasputin appeared he was accepted as that friend. Rasputin, although very poor and humble and almost entirely illiterate, had acquired a great reputation as a preacher, and had especially attracted the attention of Bishop Theofan, a churchman of renown in St. Petersburg. Bishop Theofan introduced the Strannik to the wife of Grand Duke Nicholas, who immediately con. ceived a warm admiration for him, and began to speak to her friends of his marvelous piety and spiritual insight. At that time the Emperor was on very friendly terms with the Grand Duke Nicholas, or rather with his wife and her sister, two princesses of Montenegro who had married, not quite in conformity with the rules of the Orthodox Church, the brothers, Grand Dukes Nicholas and Peter. One of these sisters, Princess Melitza, Grand Duchess Peter, had something of a reputation as a mystic, and it was at her house that the Emperor and Empress met first Dr. Philippe and later Rasputin. In one of my first conversations with the Empress she told me this, and told me also how deeply the conversation of the Siberian peasant had interested both her husband and herself. In fact Rasputin, at that period, interested and impressed almost everyone with whom he came in contact. When the house of Stolypin was blown up by terrorist bombs and, among others, his beloved daughter was grievously wounded, it was Rasputin whom the famous statesman summoned to her bedside for prayer and supplication. I am aware that the public generally believes that it was I who introduced Rasputin into the Russian Court, but truth compels me to declare that he was well known to the Sovereigns and to most of the Court long before I ever saw him. It was about a month before my marriage in 1907 that the Empress asked Grand Duchess Peter to make me acquainted with Rasputin. I had heard that the Grand Duchess was very clever and well read, and I was glad of the opportunity of meeting her in her palace oft the English Quay in St. Petersburg. Interesting as I found her, I was nevertheless thrilled with excitement when a servant announced the arrival of Rasputin. Before his entrance the Grand Duchess said to me: "Do not be astonished if I greet him peasant fashion," that is, with three kisses on the cheek. She did so greet him and then she presented us to each other. I saw an elderly peasant, thin, with a pale face, long hair, an uncared-for beard, and the most extraordinary eyes, large, light, brilliant, and apparently capable of seeing into the very mind and soul of the person with whom he held converse. He wore a long peasant coat, black and rather shabby from hard wear and much travel. We talked and the Grand Duchess, speaking in French, bade me ask him to pray for some special desire of Mme. Timidly I begged him to pray that God would permit me to spend my whole life serving their Majesties. To this he replied: "Your whole life will be thus spent." We parted then, but shortly afterwards, just before my wedding day, when my heart was in a tumult of doubt and anxiety, I wrote to the Grand Duchess Peter and asked her to seek Rasputin's counsel in my behalf. His word to me was that I would marry as I had planned but that I should not find happiness in my marriage. It will be seen how little I regarded him as a prophet at this time since I paid no attention to his warning. A full year after my marriage I saw Rasputin for the second time. It was on a train going from St. Petersburg to Tsarskoe Selo, he being on his way there to visit friends who were in no way connected with the Court. But, asks the bewildered reader, when and how did Rasputin acquire the dreadful, almost unprintable reputation which classes him with the arch-fiend himself? To answer the question satisfactorily I should have to reveal at great length the strangely abnormal and hysterical mentality of the Russian people of that epoch. I shall try to do this as I go farther, but here I shall give, as a sort of illustration of the lunacy of the hour, a little experience of my own. It was on the first occasion after my arrest by Kerensky in the spring of 1917, when I was brought before the High Commission of Justice of the Provisional Government. Weak and ill from my long imprisonment in the gloomy Fortress of Peter and Paul, I found myself facing an imposing group of something like forty judges, all learned in the law and clothed in such dignity of office that I gazed at them in a kind of awe. In my distracted mind I asked myself what questions these grave magistrates would ask me, and in what profound language would their questions be clothed. My heart almost stopped beating while I waited for the words of the chief judge. And this is what was said, in a deep and solemn voice: "Tell me, who was it at Court that Rasputin called a flower?" Sheer amazement held me speechless, but even had I been given time I could not have answered the question because there was no such person. The judges whispered together for a moment and then the same man, handing me a piece of cardboard, demanded impressively: "What is the meaning of this secret card which was found in your house by the soldiers?" I took the piece of cardboard and almost instantly recognized it as a menu card of the yacht Standart, dated 1908. On the reverse side were written the names of war vessels present at that date at a naval review held near Kronstadt, Russian vessels all, among which the position of the Imperial yacht was marked by a crown. I handed the menu card back to the judge saying merely: "Look at it, and look at the date." He looked at it and in some confusion muttered: "It is true." One more question those giant intellects found to ask me. "Is it a fact that the Empress could not live without you?" To which I replied as any sensible person would have done: "Why should a happy wife and mother be unable to live without a mere friend?" The inquiry was then hastily closed and I was ordered back to prison, to be watched more closely than ever, because I would not answer to judgment. This is a perfectly fair sample of the madness and confusion of the Russian mind, or rather the St. Petersburg mind, before and after the Revolution. That this madness, this unreasoning mania for the destruction of all institutions might have something to justify itself in the public mind, it was absolutely necessary to find and to persecute individuals who typified, in popular imagination the things which were so bitterly hated. Rasputin, more than any one other individual in the Empire, did typify old and unpopular institutions, and I can readily see why some intelligent and fair-minded persons thus accepted him. Dillon, for example, in his book, "The Eclipse of Russia," says: "It is my belief that although his friends were influential Rasputin was a symbol." Russia, like eighteenth-century France, passed through a period of acute insanity from which it is only now beginning to emerge in remorse and pain. This insanity was by no means confined to the ranks of the so-called Revolutionists. It pervaded the Duma, the highest ranks of society, Royalty itself, all as guilty of Russia's ruin as the most blood-thirsty terrorist. What had happened in these dark years between 1917 and 1923 is simply the punishment of God for the sins of a whole people. When His avenging hand has so plainly been laid upon all of the Russian people how dare any of us lay the calamity entirely at the doors of the Bolsheviki? We Russians look on the appalling condition of our once great country, we behold the famishing millions on the Volga and in the Ukraine, we count the fearful roll of the murdered, the imprisoned, the exiled, and we cry weakly that the Tsar was guilty, Rasputin was guilty, this man and that woman were guilty, but never do we admit that we were all guilty, guilty of blackest treason to our God, our Emperor, our country. Yet not until we cease to accuse others and repent our own sins will the white dawn of God's mercy rise over the starved and barren desert that was once mighty Russia. Rasputin, it seems to be generally assumed, having been introduced to the Imperial Family, took up his residence in the palace of the Romanovs and thereafter held in his hands the reins of government. Those who do not literally believe this are nevertheless persuaded that Rasputin lived very near their Majesties, saw them constantly, was consulted and obeyed by the Ministers, and with the aid and connivance of adoring women attached to the Court, ruled by fear and superstition the whole governing class of the Empire. If I denied that Rasputin ever lived at Court, ever had the smallest influence over governmental policies, ever ruled through adoring and superstitious women, I should not hope to be believed. I will then simply call attention to the fact that every move of Rasputin from the hour when he began to frequent the palaces of the Grand Dukes, especially from the day he met the Emperor and Empress in the drawing room of the Grand Duchess Melitza, to the midnight when he met his death in the Yussupov Palace on the Moika Canal in St. Petersburg, is a matter of the most minute police record. The police know how many days of each year Rasputin spent in St. Petersburg and how much of his time was lived in Siberia. They know exactly how many times he called at the palace at Tsarskoe Selo, how long he stayed and who was present. They know when and under exactly the circumstances Rasputin came to my house, and who else came to the house at the same time. The police know more about Rasputin than all the journalists and the his historians put together, and their records show that he spent most of his time in Siberia, and that when he visited St. Petersburg he lived in rather humble lodgings in an unfashionable street, 54 Gorochovaia. Rasputin never lived in the palace, seldom visited it, saw the Emperor less frequently than the Empress, and had among the women of the Court more enemies than friends. The English-speaking reader may doubt the completeness and the accuracy of police records, knowing that in his own country only criminals and people of the underworld are really watched by the police. To know what police surveillance can mean it is necessary to have known Russia before 1917. I do not speak of the Bolshevik police. It is fairly well known what they are, but after all their methods, if not their motives, are founded on the Okhrana of the old days. To give an idea of the ever-open and searching eye of the old Russian police I will describe what the situ. ation was in the Imperial palace itself. In connection with the palace, or any of the Imperial residences, the persons of the Emperor and his family, the police force was organized in three sections. There were the palace police, a Cossack convoi, and a regiment of Guards known as the Svodny Polk. Besides the ranking officers of these organizations there was, over them all, a palace commandant, in the latest days of the Empire, General Voyeikov. It was impossible for anyone to approach the palace, much less to be received by one of their Majesties, without the fact being known to scores of these police guards. Every soldier, every guard, in uniform or out, kept a notebook in which he was obliged to write down for inspection by his superiors the movements of all persons who entered the palace and even those who passed its walls. Moreover, they were obliged to communicate by telephone with their superior officers every event, however trivial, of which they were witness. This vigilance was extended even to the persons of the Emperor and his family. If the Empress ordered her carriage for two o'clock in the afternoon, the lackey receiving the order immediately informed the nearest police guard of the fact. The guard telephoned the news to the palace commandant's office and from there the information went by telephone to the offices of the separate police organizations: "Her Majesty's carriage has been ordered for two o'clock." This meant that from the time the Empress and her companion, or her children, drove from the palace doors to the hour when they returned the roads were lined with police, ready with their notebooks to record every single incident of the drive. Should the Empress stop her carriage to speak to an acquaintance, that unhappy individual would afterwards be approached by a guard standing in the road or behind trees or shrubbery, who would demand: "What is your name, and for what reason had you conversation with her Majesty?" With all her heart the Empress detested this system of police espionage, but it was one of the Russian ironclad traditions which neither she nor the Emperor could alter or abolish. If the Imperial Family was thus subject to police surveillance the reader can easily imagine how closely the ordinary citizen and especially citizens of eminence were watched. 1 would not venture to declare on my own unsupported authority that Rasputin rarely visited the palace, at first two or three times a year and but little oftener at the last, but I can state that these facts are on record in the police annals of St. Petersburg and Tsarskoe Selo. In the year of his death, 1916, Rasputin saw the Emperor exactly twice. There is one unfortunate fact in connection with these visits. I write it regretfully but it is true, and I can see how that circumstance served with some people to put a false emphasis on the visits of Rasputin to the Im. perial household. In spite of the well-known fact that every visit of Rasputin was necessarily a public appearance, in full limelight, as it were, the Emperor and Empress attempted to throw over his visits a certain veil of secrecy. They had done the same thing with Dr. Philippe, and I suppose from the same motives. Every human being craves a little personal privacy. In the most loving family circle who does not at times want to be alone with his thoughts or his prayers behind closed doors? Thus it was with their Majesties. Rasputin represented to them hopes and aspirations far removed from earthly power and glory, and from earthly pain and suffering. They knew that he was a simple peasant and that many people of rank in official circles thought it strange, some even thought it undignified, for their Majesties of great Russia to listen to the counsels of so lowly and ignorant a man. For this reason, I know of no other, the Emperor and Empress vainly tried to make the visits of Rasputin as inconspicuous as possible. He was admitted into a side entrance instead of the main doorway; he went upstairs by a small staircase; he was received in the private apartments and never in the public drawing rooms. It was the same in Tsarskoe Selo and in the Crimea, in which latter place a day's visit served for a year's gossip throughout the entire estate. More than once I pointed out to the Empress the futility of the course pursued. "You know that before he reaches the palace, much less your boudoir, he has been written down at least forty times," I reminded her. The Empress always agreed. She knew that the police were everywhere, inside and outside the palace, in every corridor, at every door. She knew that there could be no secrets in the palace, and the Emperor knew it as well as she did, yet they persisted in trying to shield Rasputin from the publicity they knew to be inevitable for everyone. It was generally in the evening that he was received, not because the eternal police vigilance was relaxed at that time, but because it was only in the evening that the Emperor found leisure for his personal friends. In the hour following dinner it sometimes happened that little Alexei came downstairs in his 'blue nightgown to talk with his father a few minutes before going to bed. When on these occasions Rasputin was present, the boy and his parents and any intimate friend who happened to be in the room would listen fascinated while the Strannik talked of Siberia and its peasants, of his wanderings through remote corners of Russia, and of his sojourn in the Holy Lands. His speech was simple, but strangely eloquent and uplifting. Their Majesties talked gladly to him of whatever happened to be on their minds, the ill health of their only son, principally, and he seemed to know how to comfort and to give them hope. They were always lighter of heart after his visits, and even had I conspired with him to gain their friendship the effort would have been quite useless and unnecessary. They liked him so well that when gossip or newspaper accusations of Rasputin's drunkenness and debauchery were brought to their attention they said only: "He is hated because we love him." And that ended the matter. I will say for the Empress that although she had the fullest confidence in Rasputin's integrity she thought it worth while to make some inquiries into his private life in Siberia, where most of his time was spent. On two occasions she sent me, with others, to his distant village of Pokrovskoe to visit him. I wished then, and I do now, that she had selected someone wiser and more critical than myself. Of detective ability I possess not a trace. With me it is always, what I have seen I have seen. In company with Mme. Orlova, mother of General Orlov, and with two other women and our maids, I made the long journey to Siberia leaving the railroad at the little town of Tyuman. Here Rasputin met us with a clumsy peasant cart drawn by two farm horses. In this springless vehicle we drove eighty versts across the steppes to the village where Rasputin dwelt with his old wife, his three children, and two aged spinsters who helped in the housework and in the care of the fields and the cattle. The household was almost Biblical in its bare simplicity, all the guests sleeping in an upper chamber on straw mattresses laid on the rough board floor. Except for the beds the rooms were practically without furniture, although on the walls were ikons before which faint tapers burned. We ate our plain meals in the common room downstairs) and in the evening there usually came four peasant men, devoted friends of Rasputin, who were called "the brothers." Sitting around the table they sang prayers and psalms with rustic faith and fervor. Almost every day we went down to the river to watch Rasputin and the brothers, fishermen all, draw in their nets, and often we ate our dinner by the river, cooking fish over little campfires on the shore, sharing in common our raisins, bread, nuts, and perhaps a little pastry. The season being Lent we had no meat, no milk, nor butter. On my return to Tsarskoe Selo I described this pastoral existence to the Empress, and I had to add to my observations only that the clergy of the village seemed to dislike Rasputin, while the majority of the villagers merely took him for granted as one they had long been accustomed to. In a later year I was again sent to Siberia, this time with Mme. Julia (Lili) Dehn, wife of a naval officer on the yacht Standart, and several others, and a man servant as my special assistant as I was then very lame from the railroad accident which r have described. This time we went by boat from Tyuman to Tobolsk on the River Tura, to view the relics of the Metropolitan John of Tobolsk, a sainted man of the time of Peter the Great. While in Tobolsk we were entertained in the house of the Governor of the Department, the same house where in the first days of their Siberian exile the Imperial Family were lodged. It was a large, very well furnished house on the river, but one could see that in winter it must have been extremely cold. On our way back we stopped for two days at Pokrovskoe, visiting Rasputin and finding him exactly as before, the old wife and the serving maids still occupied with household tasks and with field labor. I may add that in both of these visits I went to the famous monastery of Verchotourie, on the Ural River, where are kept some deeply venerated relics of St. Simeon. In the forests surrounding the monastery are many tiny wooden huts in which dwell solitary monks or anchorites, and among these was a celebrated old monk known as Father Makari. This aged and pious monk apparently held Rasputin in higher respect than did the village clergy, and they talked together like equals and friends, while we lis. tened silently but with deep interest. The wave of popular opposition against Rasputin began, I should say, in the last two and a half years of his life. Long after it began, long after his name was reviled and execrated in the press and in society, his lodgings in St. Petersburg, where he began to spend longer and longer intervals, were constantly crowded with beggars and petitioners. These were people of all stations who believed that whether he were good or evil his influence at Court was limitless. Every kind of petty official, every sort of poverty-stricken aspirant and grafting politician, and, of course, a whole crew of revolutionary agents, spies, and secret police haunted the place, pressing on Rasputin papers and petitions to be presented to the Emperor. To do Rasputin strict justice, he was forever telling the petitioners that it would be no good at all for him to present their papers, but he did not seem to have strength of mind to refuse point-blank to receive them. Often in pity for those who were sick and poor, or as he thought deserving, he would send them to one or another of his rich and influential acquaintances with a note saying: "Please, dear friend, receive him." It is very sad to reflect that his recommendation was the worst possible introduction a poor wretch could bear with him. One of the hardest tasks which the Empress imposed upon me was the taking of messages, usually about the health of Alexei, to these crowded lodgings of Rasputin. As often as I appeared the people overwhelmed me with demands for money, positions, advancement, pardons, and what not. It was of no use to assure the people that I neither possessed nor desired to possess the kind of influence they believed to be Mme. It was equally useless to assure them that their petitions, if I took them, would not be read by the Empress, but would merely be referred to her secretary, Count Rostovsev. Sometimes I encountered a case of great distress which if possible I tried privately to relieve. One day I met on the staircase a very poor young student who asked me if I could help him to a warm coat. I knew where I could get such a coat and I sent it to the student. Months afterwards when I was a prisoner in the fortress I received a note from this young man, telling me that he prayed daily for my safety and release. This almost unique instance of gratitude remains in my mind among memories much less agreeable of my visits to the lodgings of Rasputin.